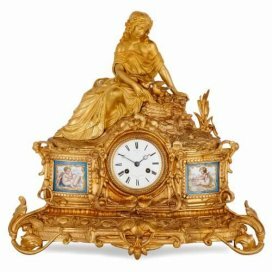 This charming 19th Century mantel clock, beautifully finished in ormolu and white marble, will make an excellent addition to the decor of a luxury home. 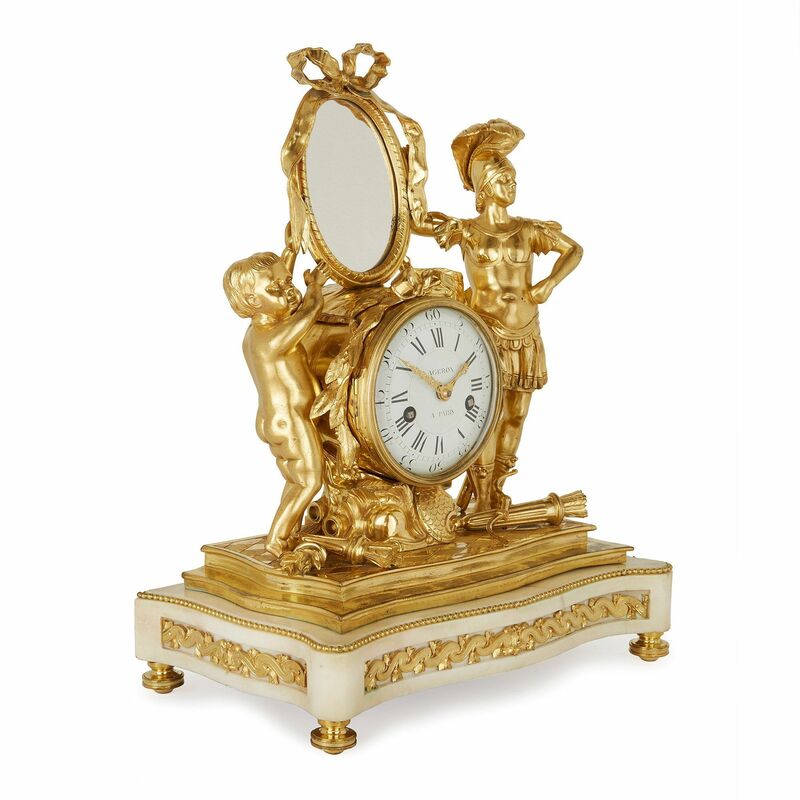 This antique mantel clock is a sumptuous piece of Neoclassical style design, featuring expertly cast and gilded bronze sculptures, which beautifully complement the lavish white marble base. The combination of clock and mirror on this piece makes it an unusual object, but one which has clearly been designed to to be a focal point in a room. 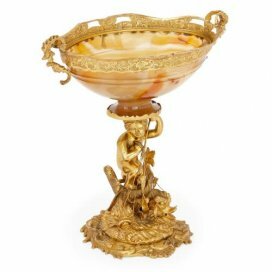 The white marble base is elegantly curved and features an ormolu frieze on its front and ormolu beading around its upper edge. 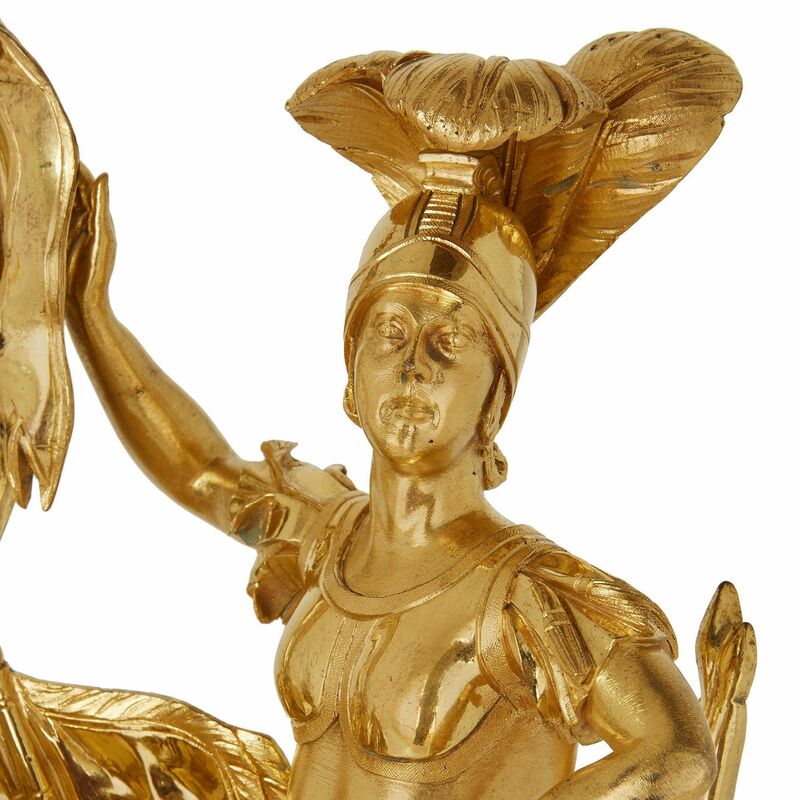 The clock case is mounted on the base and decorated around its exterior with Classical motifs, including a quiver of arrows, laurel leaves, tied ribbons and military helmets. 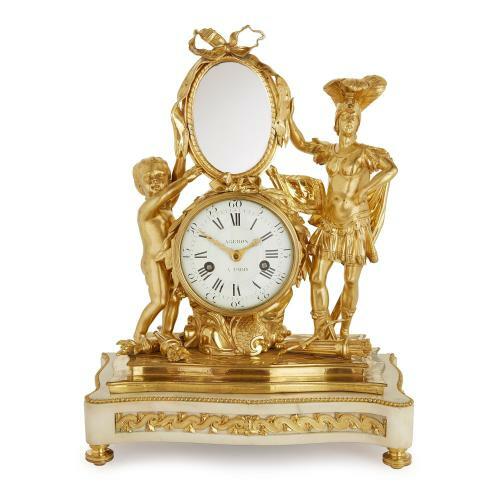 At either side of the clock case there are exquisite sculptural figures, showing a cherub and a Roman military figure with two standards shown behind him. Both are also depicted with quivers of arrows at their feet. 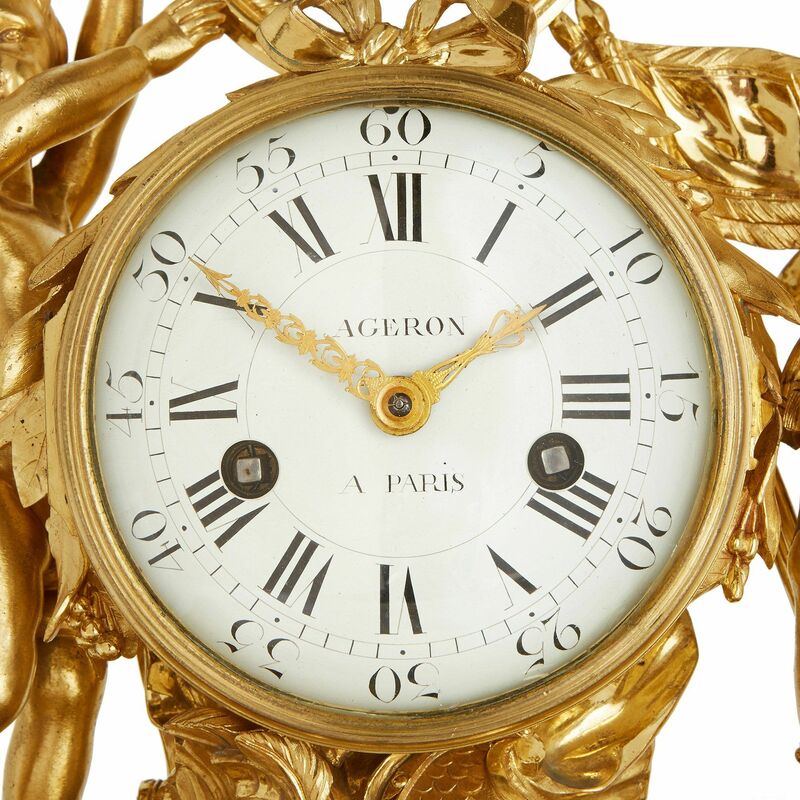 The white enamel clock dial features Roman numerals as well as Arabic second numerals, and a signature reading 'Ageron / A Paris'. The oval shaped mirror sits above the clock case and is decorated around its exterior with tied ribbons.